Honda's CRF125F may sit right in the middle of our off-road funbike lineup, but it's over the top when it comes to some big improvements this year. In terms of our overall line, the CRF125F is the next step up from our CRF110F—a little bigger, a little taller, a little more powerful. We've designed it to hit that sweet spot that makes it a great choice for both young riders and smaller adults. But for 2019, it's a whole lot better. To start with, we gave it fuel injection this year. That makes a great engine even better, first because it broadens up the power, but most of all because you can say goodbye to clogged up pilot jets after the bike's sat out the winter. It also means easier starting and better running in cold weather or at high altitudes, and less pollution. There's a new twin-spar steel frame this year too, and more suspension travel at each end for an even more plush ride. An electric starter makes it easy to get going, while a four-speed transmission gives you all the control of a full-sized bike. Sound like an awesome motorcycle, but maybe you're looking for something that will better fit a taller rider? Right this way—we also make the CRF125F in a big-wheel version. Either way, you're making a great choice. Electric Starte: Turn a key, push a button—that's all it takes to get the CRF125F started. 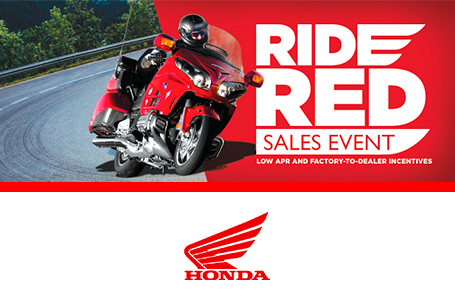 Add in a generous dose of Honda reliability and you'll find the CRF125F is super easy to own. 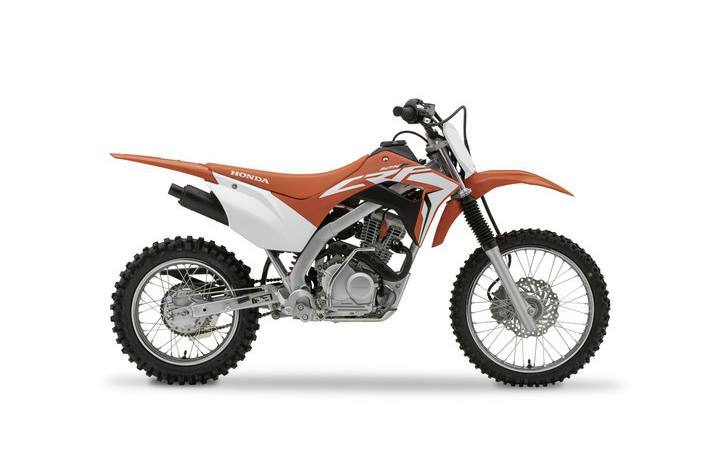 Sized for the Sweet Spo: With its air-cooled, 125cc single-overhead-cam engine and four-speed transmission, the CRF125F will fit a wide range of riders. It has enough power for teens and small adults without being intimidating for younger riders. Fuel-Injected Engin: New for 2019, the CRF125F's fuel injection makes starting easier than ever, and automatically compensates for cold weather or high altitudes. Plus, it runs cleaner! Reliable Engine: The CRF125F's dependable four-stroke, single-cylinder engine offers good performance with a wide powerband—perfect for a wide range of riders, including beginners. And for 2019, new fuel injection makes it even better and more efficient. New Steel Frame and Swingarm: Less experienced riders are hard on equipment, especially when they're just starting out. That's why we gave the CRF125F a strong, new, twin-spar-type steel frame and swingarm that are built to handle the bumps and dings of off-road riding. Four-Speed Transmission: The four-speed gearbox is just like a full-sized motorcycle's, and gives your younger rider all the control they need. Big-Wheel Version Available: Want something a little larger? Check out our CRF125F Big Wheel—the same great bike but a better fit for taller riders. Clean-Running Engine: Another benefit of fitting the CRF125F with fuel injection? Now it even meets California's stringent CARB emissions standards for off-road motorcycles—good news for everyone.